The following steps are always valid regardless you are using EasyPhonia as a Calling Card / Virtual Calling Card system or the Mobile VoIP functionalities. 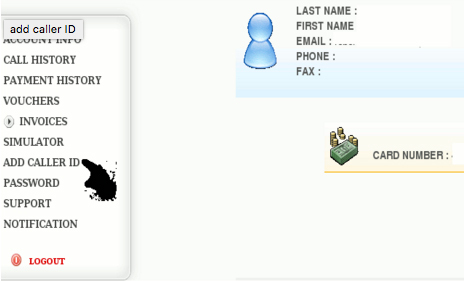 Login using the information you received in the confirmation email. If you have forgotten your password click the “forgot password” link. Caller IDs are phone numbers you will be usually calling from. Authorizing these numbers makes it easier to place calls without having to input your PIN. 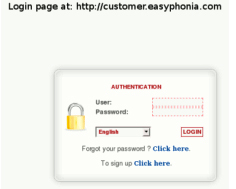 When using Easyphonia from any other telephone device, if the number is not in this list the system will prompt for your PIN. In order to place a phone call you have to call your local access number, wait for the end of the automated message and dial the number you wish to call followed by the pound sign (#). Print this form for your future reference!